I have a growing obsession with vests. 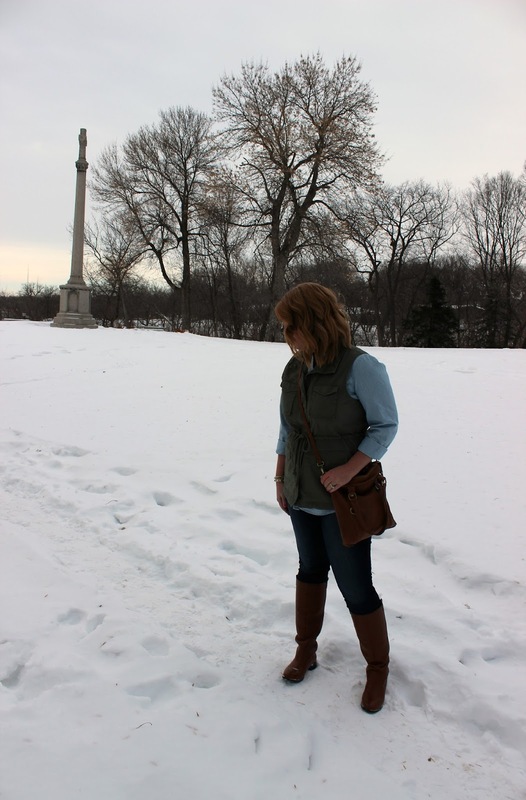 While I love the quilted look of my favorite J.Crew vest, I have to admit that I hate the bulkiness it creates under jackets. 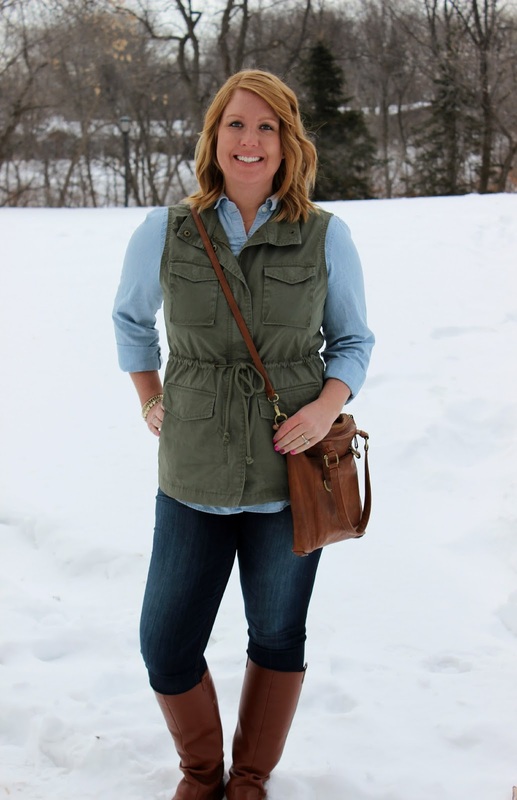 In my hunt for a less bulky option, I found this adorable lightweight canvas vest from Old Navy. I'm not usually a fan of military fashion (or army green in general) but I think I'm starting to come around. 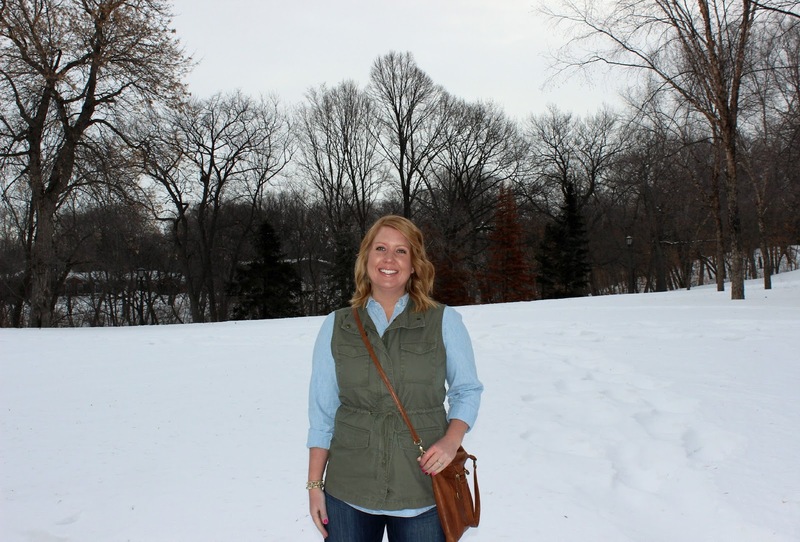 I layered it on top of my favorite long chambray shirt to break up the denim on denim look. 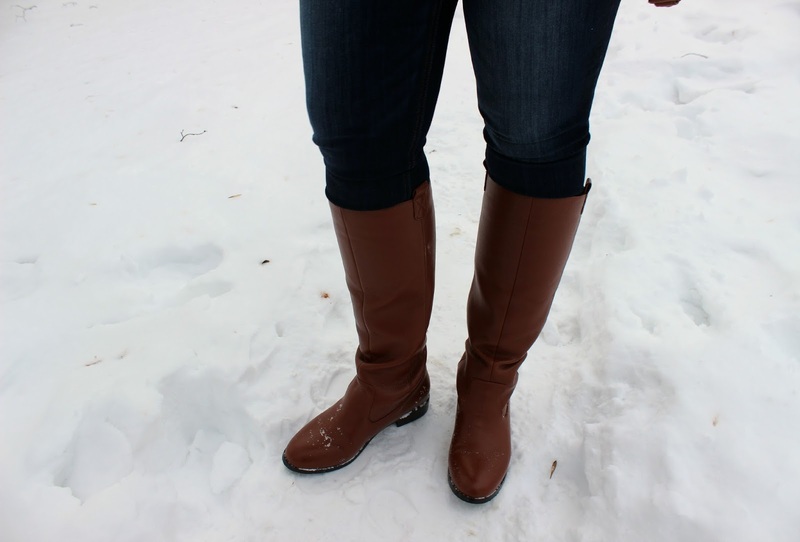 Boots are practically a necessity with all of the snow so I'm just going with it. 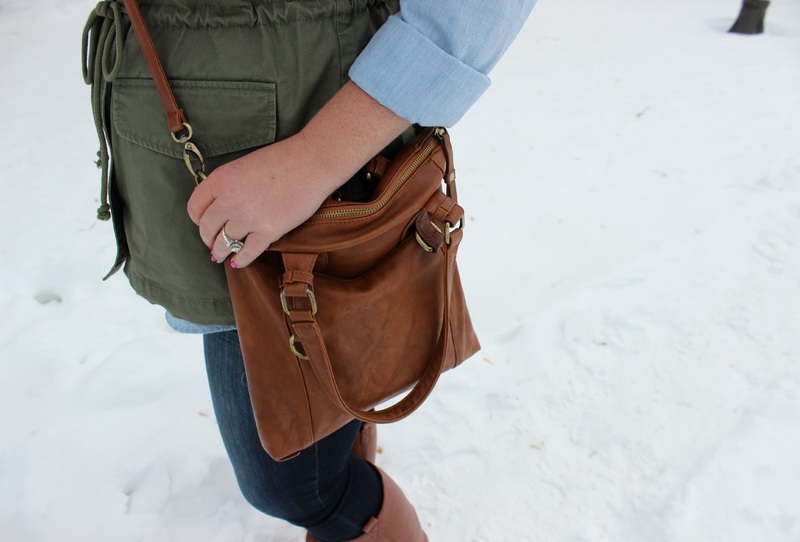 This look is casual without being frumpy. Perfect for running errands and meeting up with friends for lunch. 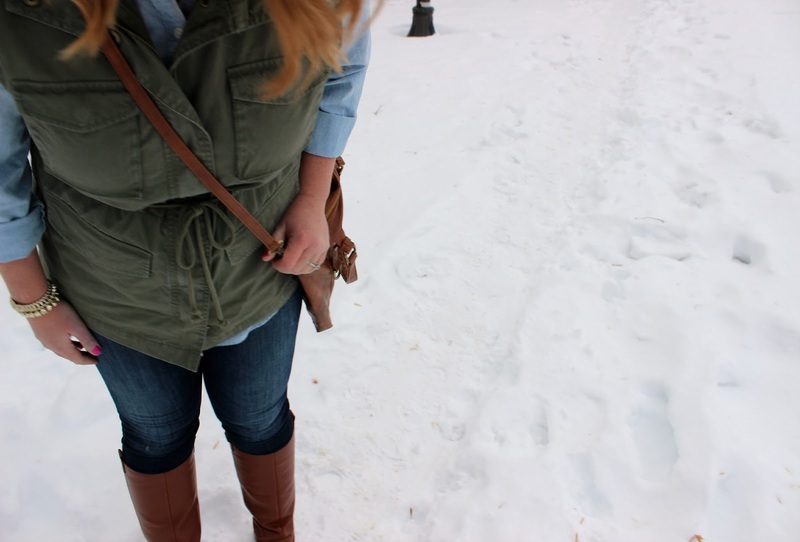 What is your favorite way to spruce up a winter outfit?